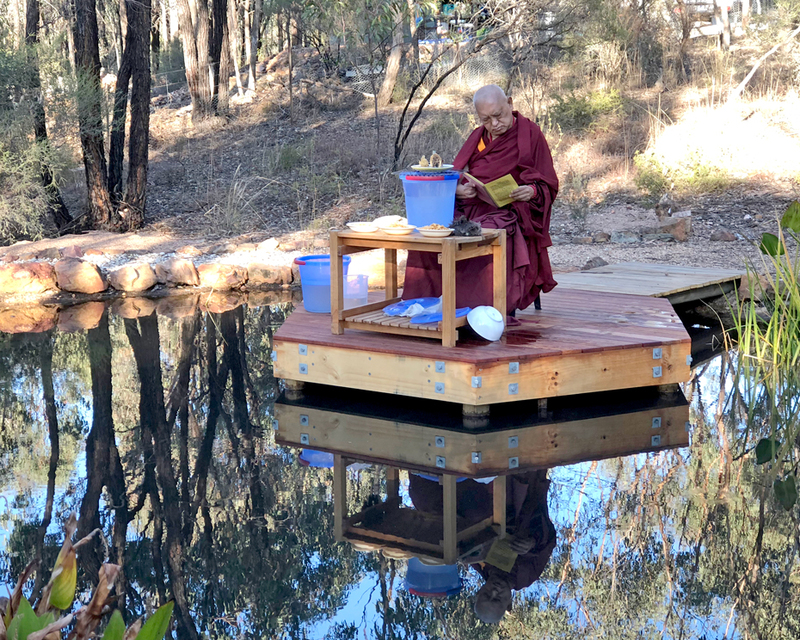 Lama Zopa Rinpoche offering to pretas and doing Dzambala practice at the lake near Thubten Shedrup Ling Monastery, Bendigo, Australia, April 2018. Photo by Ven. Roger Kunsang. Lama Zopa Rinpoche explains how peace and happiness come from meditation in this teaching recently published in the Lama Yeshe Wisdom Archive April 2018 E-Letter. You can watch Lama Zopa Rinpoche teach during the Bodhicaryavatara and Rinjung Gyatsa Retreat at The Great Stupa of Universal Compassion in Bendigo, Australia, March 30-May 12, 2018.